David is a Certified Bankruptcy Specialist, State Bar of California, Board of Legal Specialization. Prior to establishing Shevitz Law Firm, Between 2011 and 2015, David was an associate attorney at a boutique bankruptcy firm where he represented individuals and businesses in Chapters 7, 11 and 13 as well related business litigation matters. 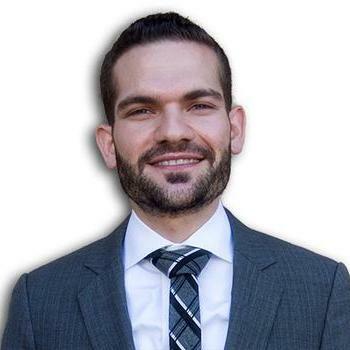 During law school, David served as a legal intern for the Honorable Sheri Bluebond, US Bankruptcy Court for the Central District of California and served as an intern for the Office of the United States Trustee's Santa Ana Division. Mr. Shevitz has also served as staff writer and research editor of… read more the Loyola of Los Angeles Entertainment Law Review. "After years of trying to negotiate with my lenders and hiring two attorneys at separate occasions, I have been unsuccessful to modify my terms with my mortgage lenders. Unfortunately, this led me to ultimately file chapter 11 bankruptcy. I was cautious and took steps to call many attorneys in Los Angeles, and researched them to seek the highest level of experience for my case, since not all bankruptcy attorneys qualify and accept chapter 11 cases. The most qualified attorney that I was lucky to have found was David Shevitz. He represented and protected me to the fullest extent and achieved the results beyond what I had anticipated. I was guided by him throughout this transition and was advised with the most intricate details of what my case needed to successfully receive court confirmation. His performance allowed the creditors to settle, which I was awarded terms beyond my expectations that had the most successful results. I highly recommend anyone seeking bankruptcy representation to contact David Shevitz, who has changed my financial status to be positive." "Prior to meeting with attorney Shevitz, I had been burned by others attorneys in the past. I attribute poor legal advice to the loss of a prior business and it left like I was being crushed under the weight of the collection letters I was receiving. David helped to put my concerns at ease and helped me to regain control of my finances. He also helped prevent the foreclosure of my home. Moreover, David was very responsive to my questions. If you are in need of an experienced attorney who truly cares about people, give Mr. Shevitz a call." Represented debtors and creditors in Chapters 7, 11, and 13 cases as well related litigation matters and adversary proceedings. •	Prepared various motions relating to chapter 11 and 7 cases. •	Researched issues pertaining to the U.S. Trustee’s expanded powers under BAPCPA. •	Represented the U.S. Trustee at § 341(a) meetings and Attended chapter 11 initial debtor interviews. •	Researched and drafted legal memoranda regarding various bankruptcy issues. •	Reviewed motions, researched case law, and summarized legal arguments in pleadings and motions. •	Assisted in the preparation of tentative court rulings and observed court hearings and trials.